St. Amant defeated Dutchtown 57-16 and East Ascension 46-21 to win the Jambalaya Cup, the trophy for the annual championship of Ascension Parish presented by the Ascension Titans Wrestling Club. This is the Gators' first parish title since 2009. According to statistics compiled by Gators Coach Brian Hess, of the 28 matches St. Amant lost only eight, gave up one forfeit and scored 12 falls versus one scored against them. Led by standouts Joshua Averett (2-0 with a 13-5 major decision and a fall in 3:24) and Clint Brownell (two falls in a combined 2:00) the Gators won seven of 11 actual matches against Dutchtown and nine of 13 contests against East Ascension. Their one forfeit was to East Ascension's Jake Bernard as Coach Hess did not want to put a relatively new freshman wrestler against the currently second-ranked 132-pound wrestler in the state. Notables on the teams which held the cups for the last two years were Landon Wheat (120 lbs. ), who posted a 15-0 technical fall and an 18-5 major decision, Jacob Bernard (126 lbs. ), who also scored a 15-0 technical fall and received a forfeit, Brandon Cowell (152 lbs. ), who scored a fall in 0:29 and then survived a tough match against St. Amant's Sage Nugent 4-0, and Kaleb Faul (160 lbs. ), who posted a 13-4 major decision and a fall in 1:50. 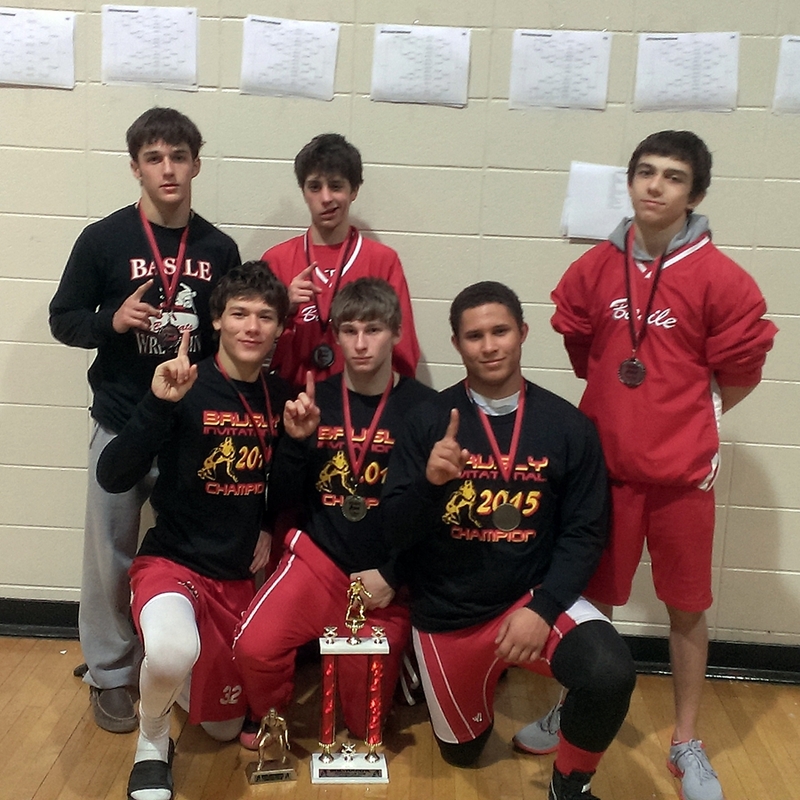 Host Brusly won the 38th Brusly Invitational, but not easily. The Panthers won four titles and tallied 181.5 points to defeat Basile (156.5) and De la Salle (137). North Vermillion finished fourth with 127 points, followed by Ouachita Christian with 97. 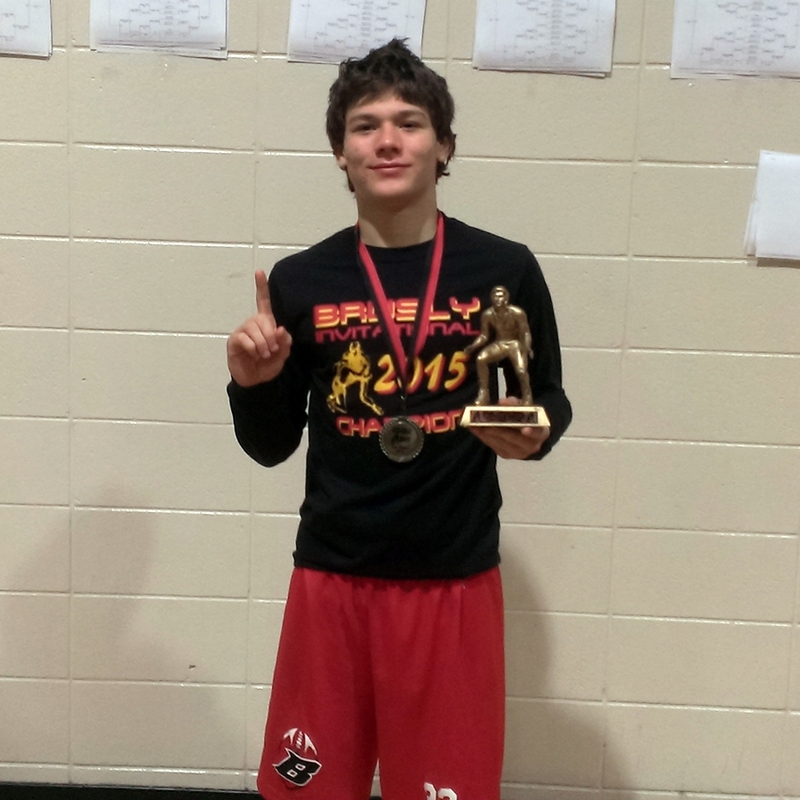 Winning titles for the Panthers were Austin Franklin (113 lbs. ), Kendon Kayser (132 lbs. ), Richard Hunter (145 lbs.) and Koby Mancuso (152 lbs.). Mancuso was awarded the Outstanding Wrestler award for the higher weight classes. Basile had three champions in Raymond Bushnell (120 lbs. ), Gavin Cortez (145 lbs.) and Lane Joubert (195 lbs.). Bushnell won the Outstanding Wrestler Award for the lower weight classes. Having two champions each were North Vermillion (Brennen Landry at 138 lbs. and Simon Sundy at 170 lbs. ), and Ouachita Christian (Sam Pitts at 106 lbs. and Matthew Matherne at 126 lbs.) De la Salle (Joe Clark at 182 lbs. ), Centreville, MS (Brian Arnett at 220 lbs.) and Dunham (Kirk Wilson at 285 pounds) had one championship each. Airline, the only Division I school in the competition, eked out a one-point victory over Live Oak in the mostly Division II Parkway Lone Survivor Tournament. The Vikings had three titlists in Antonio Lococo (138 lbs. ), Christian Walden (145 lbs.) and D.J. Evans (160 lbs.). The Eagles had four champions: Colt Olinde (120 lbs. ), Brody Bonura (182 lbs. ), Nicholas Simoneaux (220 lbs.) and Clayton Davis (285 lbs.). Matthew Pitts at 126 lbs. and Zach Funderburk (152 lbs.) won titles for the host Panthers. Austin Gouedy (Central - 106 lbs. ), Hayden Shankle (Benton - 113 lbs. ), Andrew Aucoin (Sam Houston - 132 lbs. ), The'Anthony Taylor (Huntington - 170 lbs.) and David Quiring (St. Thomas More - 195 lbs.) also won championships. Colt Olinde (lower), Christian Walden (middle) and David Quiring (higher) won the Outstanding Wrestler awards. Parkway and Live Oak are expected to be the top challengers to Teurlings Catholic for the Division II state championship in February. As expected, Fontainebleau gave them a tough match, but St. Paul's nevertheless swept the District 6-5A Duals championships for the 7th straight year. The Wolves defeated Covington 67-6, Mandeville 70-10, Northshore 83-0, Covington 48-21 and Fontainebleau 46-27. The Bulldogs of Fontainebleau placed second overall, followed by Covington, Mandeville and Northshore. Brother Martin's first string is no doubt preparing for their most important dual meet of the season against Holy Cross on Wednesday, at which several top Louisiana Classic seedings will be determined, so the Crusaders sent their second and third teams to Alabaster, Alabama for the Southeastern Duals. The young men fared very well, winning their pool on Friday and placing fifth overall in the 16-team event. On Friday the Crusaders defeated Buckhorn 36-27, Scottsboro 61-18 and St. Benedict 68-6. On Saturday they won their first match 43-28 over Oxford, their second 46-30 over a revamped St. Benedict's team, but then fell to Central Phenix City 45-28 and the same Thomson Black team the first string Crusaders beat 51-15 in the Deep South Bayous Duals finals, by a 48-15 score. Nothing is very clear just yet but it appears that Comeaux's 13-year hold on the Lafayette Parish Duals Championships has been ended by Teurlings Catholic. Scores available on TrackWrestling indicate that the Rebels defeated the Spartans 39-33 on Friday. The Rebels were also listed as defeating Northside 72-9, yet losing to Lafayette 60-6. Comeaux defeated Acadiana 58-15 and Carencro 69-12. Carencro defeated Acadiana 56-18. More information should be available at a later date on the Louisiana High School Wrestling Archives Website. Even less is clear about the Cardinal Duals, held at Belle Chasse on Saturday, but all evidence points to Holy Cross' B team winning. Hahnville's went 4-1 in their matches with wins over Belle Chasse, Chalmette, Destrehan and Pearl River, but in the catfight that was Hahnville vs. Holy Cross-B, Holy Cross prevailed 51-16. More information should be available at a later date on the Louisiana High School Wrestling Archives Website. Eric Duhon, Jr. competed at 170 lbs. in the Lafayette Parish Duals.